﻿...and thank you for visiting our site. 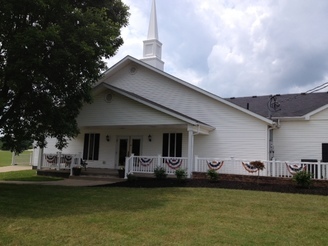 Liberty Bible Church is an independent, fundamental, KJV Bible believing and KJV Bible preaching church. There is a spirit of joy and happiness in the Lord as we sing traditional hymns and have a wonderful time meeting in the House of God. We exist for the purpose of leading people to Christ, helping them mature in Christ and involving them in the ministry for Christ. We would like to invite you to come and feel the oneness with the friendly people of LBC! The Way Church Used To Be! With all the New faces and new Members, we have a true Spirit of Revival. Who can you invite to Worship with us?